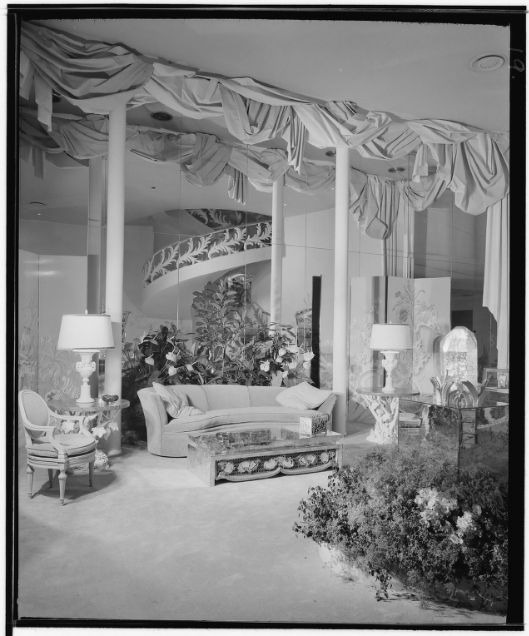 September 19, 2017 May 30, 2018 jhgraham	Postwar	Tags: Coty Paris Salon, Wilshire Blvd. It was 1946. Paris had been liberated. And Coty Paris opened its first West Coast salon. 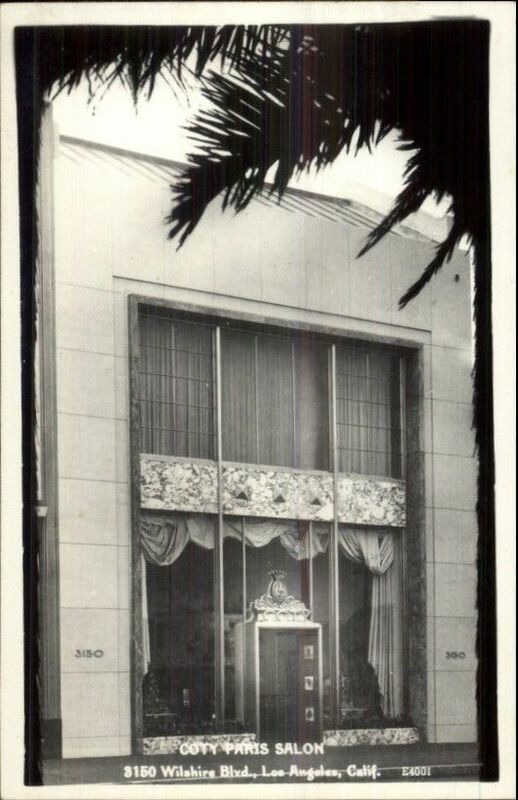 Designed by Daniel B. Cathart with interior decoration by Jules Brodeurard and Richard Pefferle, the little jewel box of a salon at 3150 Wilshire Boulevard was a breath of prewar glamour updated for the postwar era when the doors were thrown open on November 20, 1946. At an evening soiree the night before, a bottle of (Coty, of course) perfume was broken against the door by Grover Whalen of New York. 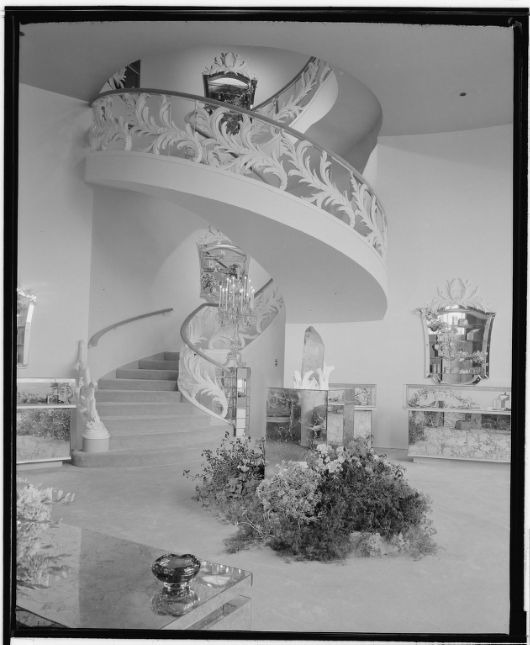 The “steel and plastic circular stairway” was a highlight. 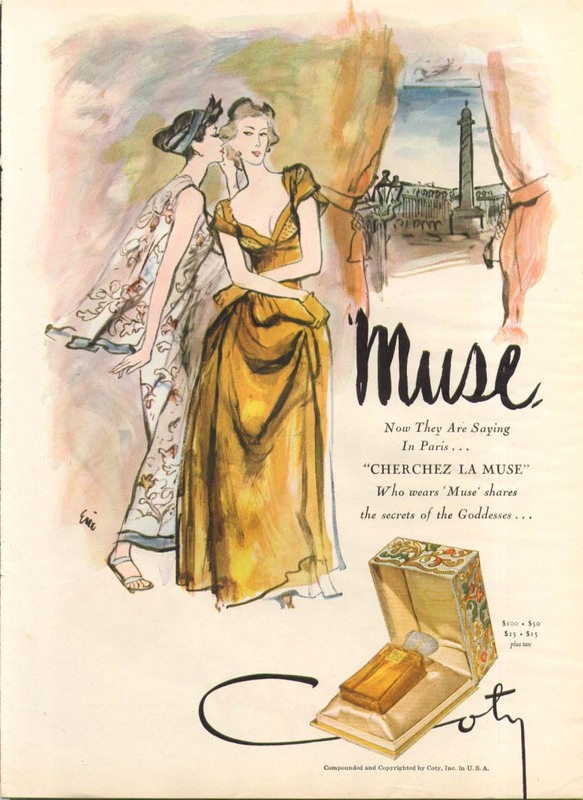 1946 ad for Coty’s “Muse” perfume. 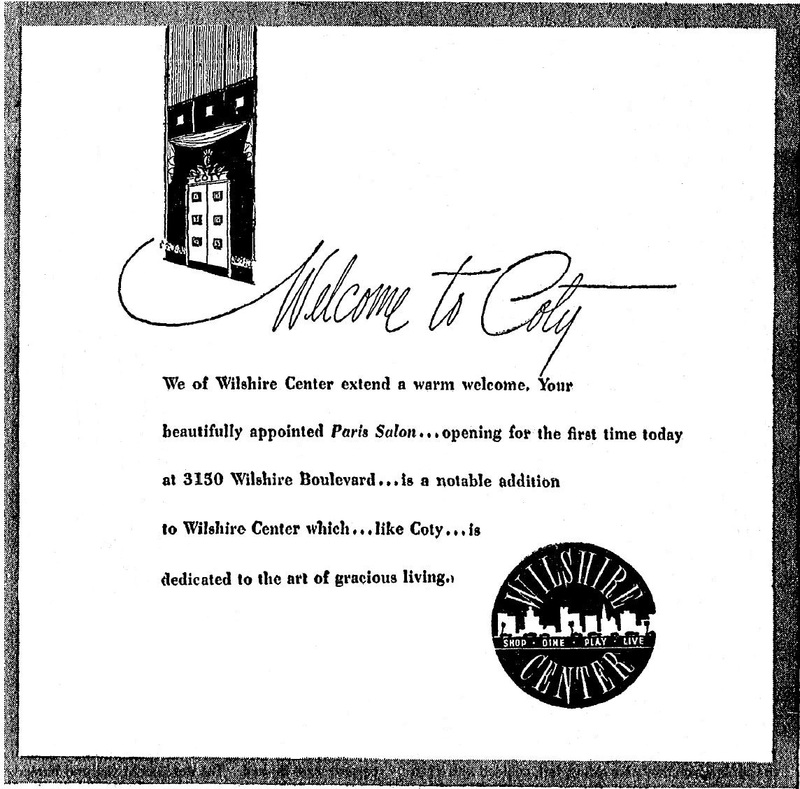 Coty Paris Salon was here through 1954. In July 1955 the space became a Magic Mirror Beauty Salon.